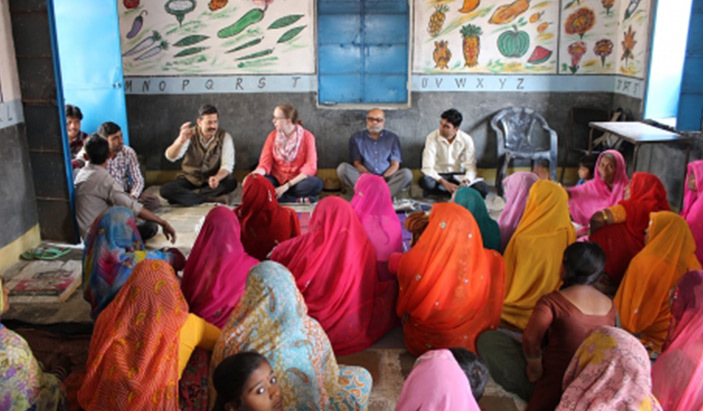 CARE India is implementing the Technical Assistance and Research for Indian Nutrition and Agriculture (TARINA) initiative in India, as a member of a consortium being led by Cornell University. Other consortium members include BAIF, Emory University, Grameen Development Services, International Food Policy and Research Institute (IFPRI), the Tata Trusts, and Tata Cornell Initiative. This project aims to improve access and availability for poor and marginal smallholders to year round affordable, diverse and quality foods in order to achieve positive nutrition outcomes. TARINA works on multiple agriculture-nutrition pathways for some of the most marginalized groups in one of the least developed areas of the country. With a food systems perspective, TARINA will work with a range of actors – within households, communities, local government, technical service providers, other development organizations and networks, the media, research and advocacy organizations and private sector companies and investors. TARINA is layered on community institutions and interventions developed under CARE India’s Pathways initiative in 73 villages of Kalahandi and Kandhamal districts in Odisha. The program is well-poised for scale up to more than two million women smallholders who will benefit from activities that address structural barriers, influence policy agendas, and improve agriculture extension systems.